You know the blue box? The one commercials tout that "kids love"? The one that restaurants often choose to serve on their kids meals because "kids love" it? The one that relatives serve because "well, I didn't know what your kids would eat and I figured everyone loves this"? Yeah, well, my kids don't like it. We couldn't get it when they were small and we lived in China & Turkey. So one time in 2009, when we went on vacation to Egypt, I found a couple of the precious blue boxes and snatched them up, quick as could be. Figuring, of course, that it was worth the premium imported price because "kids love it." I mixed up the freakishly neon yellow-orange powder with the requisite ingredients, ready to serve the kids something I just knew they'd love, and they were just as excited to try this boxed treat we'd excitedly told them about. It was the ultimate vacation convenience food & comfort food, or so I thought. A couple bites in, we noticed that they were all picking at it, trying to be nice. One of them wondered if the sauce tasted weird, musing that maybe it had gone bad. At some point, one of them asked, "why don't they use real pasta in it?" It was a total bomb. Even when I tried to eat the leftovers, I couldn't get it down. It had been years, and truly, the fake taste was overpowering. We pitched the whole overpriced batch. 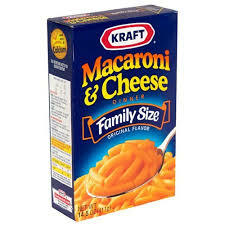 Our 7-year-old daughter Maranatha loves the creamy, gooey, elbow-pasta, homestyle macaroni and cheese... so she always has to ask, when we're out to eat at the rare restaurant, "mommy, is this REAL macaroni and cheese? Or is the stuff I don't like?" Today I had a somewhat similar experience when I served an (easy-for-me) lunch of mini corn dogs and french fries. Nearly every plate had more than half the fries left, and I hadn't served them very many. It just occurred to me, we've never been McDonald's fans, we rarely eat out, they didn't start out their growing up years in America... they just don't LOVE and CRAVE french fries the way, well, the way *I* and probably most other Americans do. I see a lot of other things in them that are just different. They each take pride in having a birthplace that is different from all the others. Virginia, Texas, Thailand, Istanbul (Asian side), Istanbul (European side), and @ home (not a hospital) in Texas. 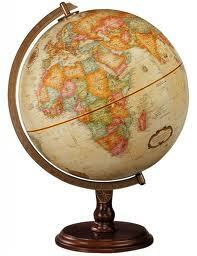 Each of us have "close friends" that live all around the world. And there will basically never be a time until Heaven that we have them all nearby, collected into one place. And even then, I'm still praying that that will be the destination for some of our dear friends. Our friends are truly here, there, and everywhere. They take an active interest in world news. This week as we've marvelled over the protests going on in our old stomping grounds of Istanbul, I've heard things like "THAT doesn't look like Turkey!" and "That looks more like Egypt!" from my elementary school kiddos. I am so thankful that their eyes are wide open as they look at the world. Except for a vague interest in Egyptian mummies & such, my eyes weren't open to the world at their ages. I know many of you are also expats, or former expats. What do you notice that seems unique or different about your kids?